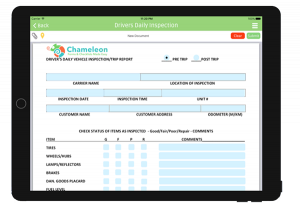 Chameleon forms lets you quickly turn your paper forms into PDF fillable forms that can be loaded into the app and deployed to your field users. Checklists and more. Get in touch and let us help you with the process. Try our demo app or sign up for a free trial account.